#1 New York Times bestselling and Michael L. Printz Award-winning YA author Libba Bray speaks to Theo Baker about music, journaling, how playwriting led her to a career writing books for teens, shares her advice on writing, and so much more! Listen to the episode trailer here. 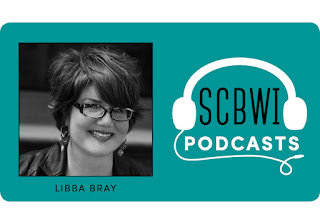 Current SCBWI members can listen to the full episode here (log in first).